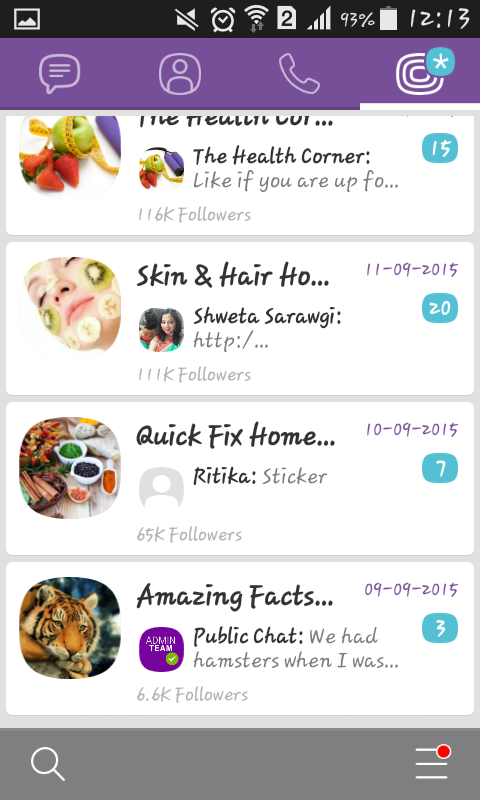 5 Reasons You Should To Be On ‘Viber’ Today! In today’s busy and expensive world we want to be connected on a daily basis and for being connected, we find “Viber” as the right choice. Here’s our review of the features on offer! Viber offers a free, no-strings-attached service that lets you text and share both photos and videos with your friends family and your loved ones…Viber has been active since the past 4 years and is spread across 193 countries with 516 million users !!!!! No more being stuck at the Platform waiting for the app train! Viber is user friendly and is available for iOS, Android, Windows and Linux devices over 3G/4G or WiFi connections. Users can send free text messages, fun stickers, photos, videos and doodles, share locations, make free HD-quality calls and communicate with Push-To-Talk. Enjoy Viber on Windows, Mac, iPad, Blackberry and Android Tablets. Getting away from the long distance trap! Viber is the app to choose when you want to avoid long-distance charges. It’s a boon for those of us in a long distance relationship! You can send text messages, short audio clips, photos and videos from your library, your location along with the usual, fun emoticons. There is a doodle feature, which lets you pick a brush size and color, then draw on the screen to send little doodles to your friends. It’s obviously not a crucial feature, but it’s a fun addition that lets you add a personal touch to the conversation. You can make your messages funny and attractive and hugely special. Recently, a new feature was added on Viber – Public Chats.This feature is a social destination in the form of group conversation that any Viber user can follow. Public chats genres range from sports, music , fashion ,beauty ,lifestyle to politics and many others. You can follow your favourite movie stars, bloggers, topics, or even the Prime Minister! Public Chats feature provides the social experience that people want on the interface and platform they use most frequently, i.e . Instant Messaging!! Each public chat has an uncluttered view in the user’s phone. Public Chat has two components – participants and followers. Participant is YOU , who will share and post exciting content , while the follower is someone who uses Viber and follows your chat…so you constitute your own tribe!! Your followers can like what you post, visit your website or check out the latest link you posted, share it with friends as well as invite their friends to your Public Chats Profile. In other words, you can make your own mini world. Viber also thinks about your security, so only your name and image (that you choose for your profile) remains visible in your Public Chats Profile and your phone number is not visible. This Public Chat feature takes Viber one step ahead of its present Competitors. With the number of years Viber has been offering VoIP calls, it easily wins the area of call quality .Depending on the connection , the app is capable of delivering HD voice calls to its users . On the other hand , Whatsapp’s Call quality differs on various bandwidths. On 2G networks its works with some lags and echoes but significantly improves when 3G or WiFi connection is used. So through and through, Viber is a good messaging and call app that is free of cost and is devoid of advertisements. It’s latest feature Public Chats is what has bowled us away completely at TIB. We hope you liked our review of Viber. You can check it out here. Please note: This review is based on personal, user based experience and is devoid of any influence by external factors. Previous Post: Technology in Education; The New Mobile App in town for Parents! Next Post: Setting Up Our New Office; Gearing Up For Business!